Light enough to be held single-handed and read from 3 to 15 feet. 6.4" LCD also available (not shown). Can be mounted above, directly beside or below the lens. 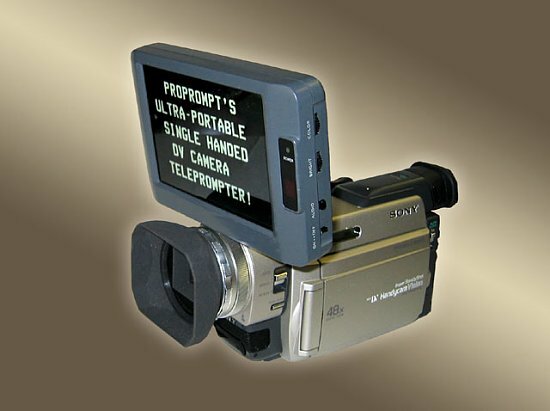 Single flexible wire provides both power and video to prompter. Can be used on steadicam and at times when a wide angle lens will not allow a beam-splitter mirror to be used.